Squeeze action clamp apply a compressive clamping force between the clamps two jaws. 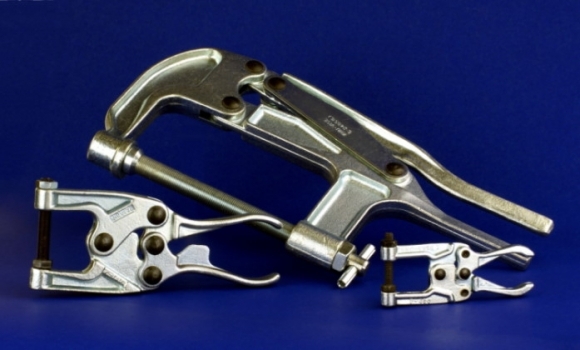 These clamps aver very versatile and portable and are often used in the place of traditional C-clamp or toolmakers clamps. 1,200 lb. Capacity Adjustable C-Clamp.